Competition: Dezeen is giving readers the chance to win one of five copies of a book released to coincide with a retrospective exhibition of work by Eindhoven designers Formafantasma. Congratulations to the winners! 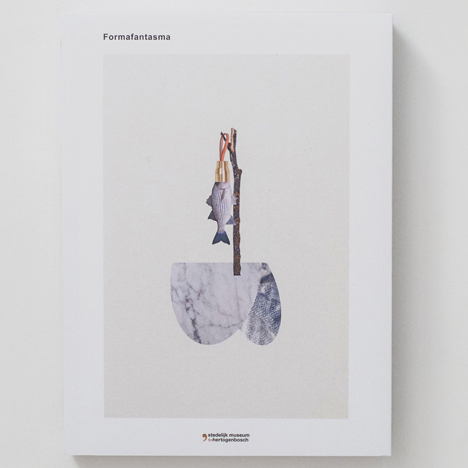 Sultan Virk from Germany, Bondan Diponegoro from Indonesia, Ranabe Chorlie from the UK, Małgosia Błauciak from Poland and Federica Caffagni from Italy all won a Formafantasma monograph. The self-titled book includes four years of projects by Formafantasma, the studio formed by Italian-born designers Andrea Trimarchi and Simone Farresin after graduating from Design Academy Eindhoven. The publication accompanies the designers' Prima Materia exhibition at the Stedelijk Museum in the Dutch city of 's-Hertogenbosch. The 208-page title is filled with captioned colour images of the duo's bizarre material experiments, including products created using waste from the food industry and tableware baked from culinary ingredients. It also includes essays by curators and critics including Li Edelkoort, Alice Rawsthorn, Libby Sellers and Fredric Baas. Designed by Bettina Madita Böhm, the book is published by Lecturis in both Dutch and English.